Picture the main streets of your city shielded by solar panels – would that make a summer outing downtown more comfortable? How about vertical farms on former brownfield sites down the street from your home – wouldn't such easy access to fresh food be nice? Arizona State University’s Project Cities thinks so too. 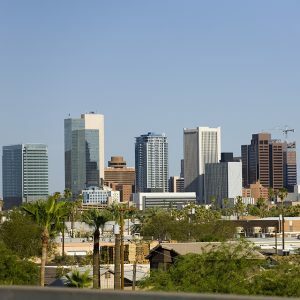 That’s why the new program, part of ASU’s Sustainable Cities Network (SCN), is working with municipalities to implement environmentally-conscious projects that make life better for people and businesses alike. 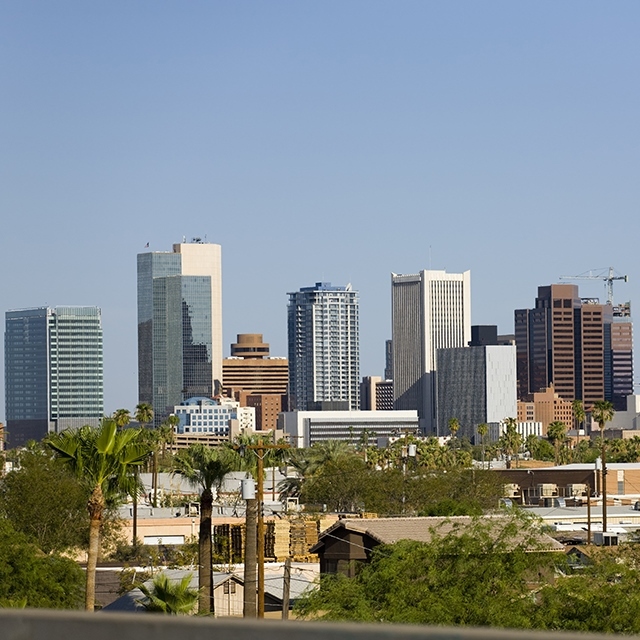 Beginning in fall 2017, Project Cities will pair faculty and students from ASU’s School of Sustainability and other departments with a city in the greater Phoenix area. The entities will collaborate for 12 to 24 months, co-creating strategies for better environmental, economic and social balance in that community. Another of the program’s strengths is that its benefits are entirely mutual. Cities gain expert advice from sustainability scholars and scientists; fresh, research-supported ideas from students on sticky municipal challenges; and lowered risk while exploring sustainability pathways, principles and practices. Meanwhile, students learn to apply sustainability coursework to real-world problems, gaining practical experience that enhances both their education and future career prospects. Their faculty mentors also benefit, expanding their networks by engaging with city staff and academic colleagues while gaining additional exposure for their work. There’s good reason to be confident in the fledgling program, say Prosser and SCN Director Anne Reichman. That’s because Project Cities is modeled after the highly-successful Sustainable Cities Year Program (SCYP) at the University of Oregon. Both are part of the Educational Partnerships for Innovation in Communities Network (EPIC-N), a growing coalition of 28 universities implementing this model throughout the country. On top of this, Project Cities directly supports ASU’s eight Design Aspirations – the institution’s objectives as a New American University. Needless to say, Project Cities is preparing for an impactful inaugural year. Interested students, faculty and city staff should email projectcities@asu.edu for additional information.